Well this is ingenious! 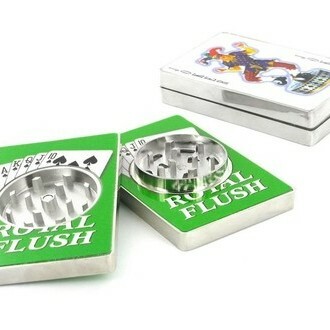 Surprisingly heavy, this Royal Flush fake card deck splits into 2 halves to reveal a standard metal grinder inside, which unscrews to give access to the kief (hash dust) collecting chamber. 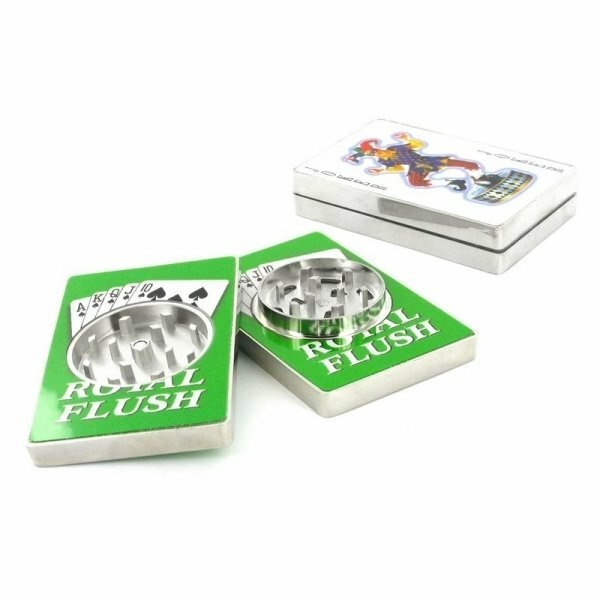 Whether you stick or twist, this grinder will help you achieve a Vegas-sized high.